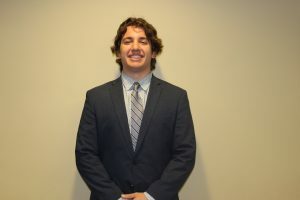 My name is Anthony Cibilich, and I am currently a freshman in the College of Commerce who is looking to get more involved with student government. 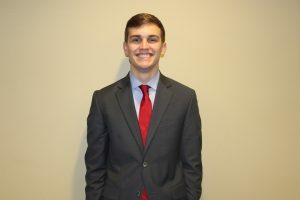 Just beginning my second semester at the university, I am currently involved in the Alabama Finance Association and the Delta Chi fraternity. Having been interested in government and politics since early high school, I hope to take part in student government to make a lasting difference for our campus. 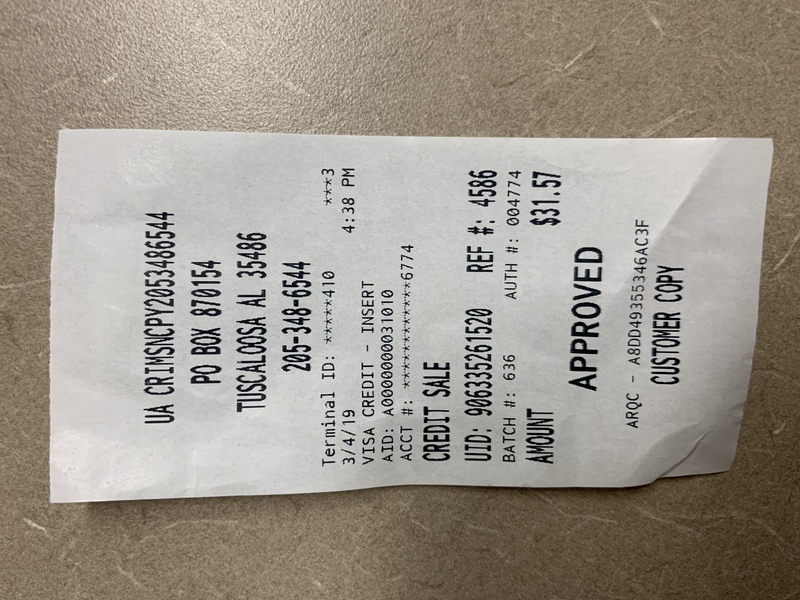 My goal is to take part in the passing of legislation that makes both the University of Alabama and the surrounding area of Tuscaloosa a better place. 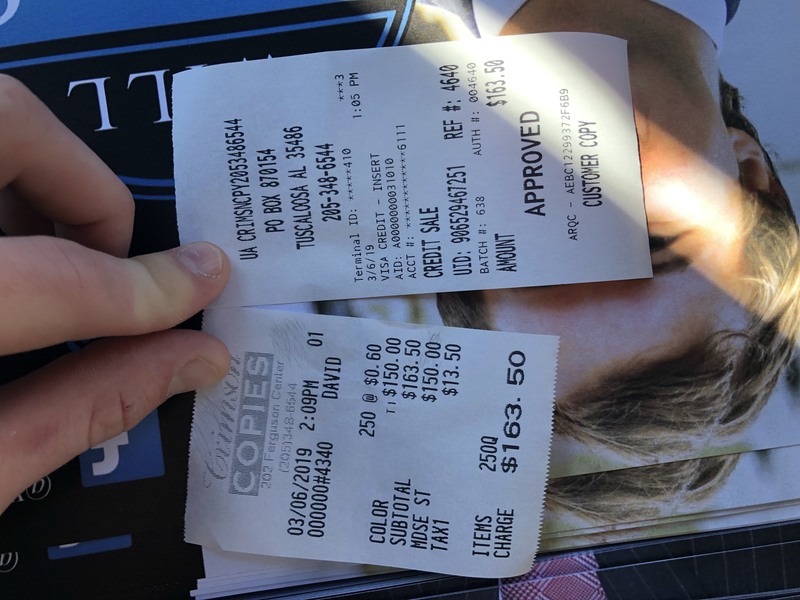 I am a first year student from Marietta, Georgia majoring in Finance in the Culverhouse College of Commerce. I had a fantastic first semester and thoroughly enjoyed all the University has to offer to incoming freshman. 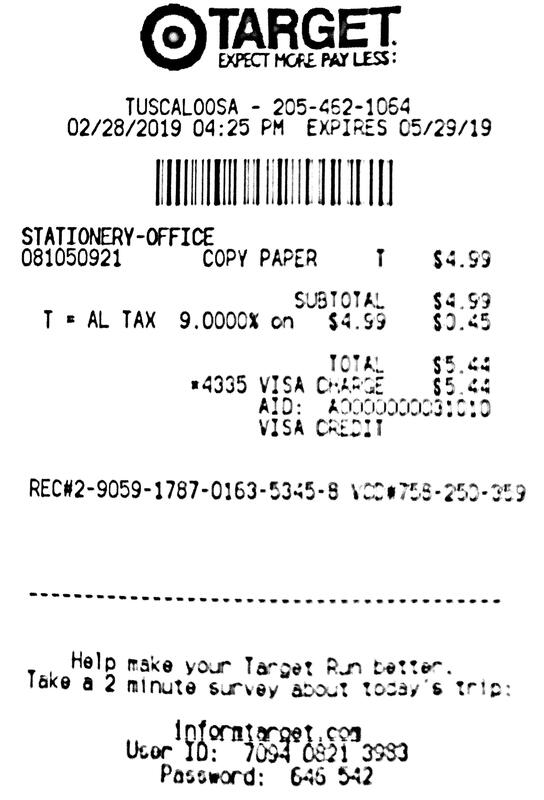 I am exceedingly grateful to have the access to the connections and resources made available by the university and the Culverhouse College. I am running to continue and expand the trend of making all avenues of community building stronger at the Capstone. In America today we can see a general political trend that suppresses conservative thought in a wide variety of platforms, from all forms of social media to banning conservative speakers at public universities. As a Senator, I will strongly support the use of free speech and will lobby for those from both sides of the isle that feel that their voice is being stifled. As a Business student here at the capstone I found that the process applying for an appointment time for my counselor could be simplified. As a Senator I will propose an extension of the Culverhouse website that will function as a big spreadsheet that student can edit to sign up for appointment times, causing so confusion and simplifying the process for the counselors. Lastly, a sense of community if paramount for the cohesiveness of the University that is why as a senator, I will address the problems that some face by working to standardize and increase awareness of The Source. 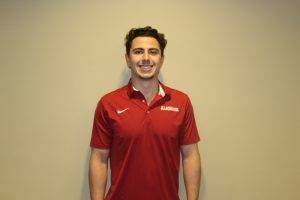 My name is Eli Loncar, a student in the Culverhouse College of Commerce. I am most qualified to be your SGA Senator because of my overwhelming desire to advance the interests of this university. I will do my part to continue to enhance the Culverhouse College of Commerce as a flagship business school for students on a global scale. I recently completed my term as the academic chairman of my fraternity, gaining the experience of creating and implementing an academic plan that raised our Greek GPA rank 20 places in one semester. My problem-solving skill set is will promote the interests of the students of this university. I plan to contribute in the development and growth of the Student Government Association by raising awareness of potential opportunities and current topics in SGA, especially for freshmen. I also plan to establish and accelerate student endeavors that bond the relationships between the University and the surrounding community through service and philanthropic ventures. 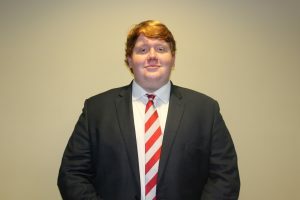 While striving to advance the reputation of the University of Alabama by empowering students through inclusion, scholastic achievement, and school involvement, I hope to be your next Senator of the Culverhouse College of Commerce. I, Brittany McMillian, hereby state my intent to run for College of Commerce Senate for The University of Alabama’s Student Government Association. I am excited to introduce myself in the coming weeks and share my vision for the 2019-2020 administration with you. Through my previous positions in SGA and other on-campus organizations, I have worked diligently to increase the student experience, transparency, and outreach. I am running to be your Business Senator to represent every student in our college and advocate for the needs of every member of our diverse and multifaceted campus community. Three areas that I plan to improve upon our student safety, representation, and transparency, and campus and community outreach. I will work earnestly to write and pass legislation with these goals in mind in order to further serve you all and improve our campus environment. As a senator, it will be my mission to understand the needs of all students and engage with my peers in order to increase their representation within the SGA. 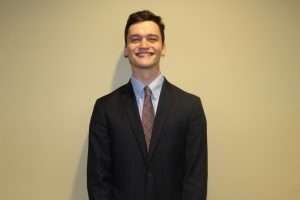 Every individual plays an integral part in cultivating the campus community; however, not every student has the opportunity to have their voice heard – that’s why I am running for Senate. Join me on March 7th and make the #McMillianMove. 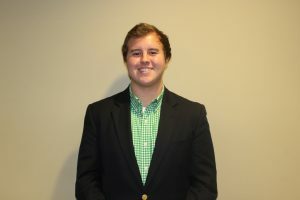 My name is Daniel Perkins, I am a sophomore in the Culverhouse college double majoring in Economics and Finance. I am currently a member of the Honors College, Pi Kappa Phi Fraternity, and Miracle League of Tuscaloosa. I am running for Culverhouse Senate because I know I can work with other senators to pass legislation that will benefit this University. My platform is to make a profound difference in the day to day lives of the student body. I am an ideal candidate for Senate because I am a man of integrity that has strong leadership skills and a willingness to work with others. Thank you and Roll Tide! 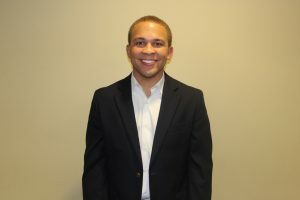 My name is Micah Presley, and I want to serve as your senator representing the College of Business. I am a freshman from Florence, Alabama and am currently majoring in Mathematics and Economics on the Pre-Law track. Dedication to genuinely helping people is what I want my life to be about, and I see no better time to start that mission than during my first year here at the University of Alabama. I currently serve on the First Year Council in SGA helping to promote the wellbeing of my peers in the freshman class. I also am in the Alabama Finance Association, Pre-Law Student Association, and International Relations Club. My utmost goals while serving as your College of Business senator would include advancing a sense of community within the resident halls here on campus, helping to create a way for students to give needed input to Bama Dining through interactive methods, and expanding student awareness on how to achieve financial stability while still in school. 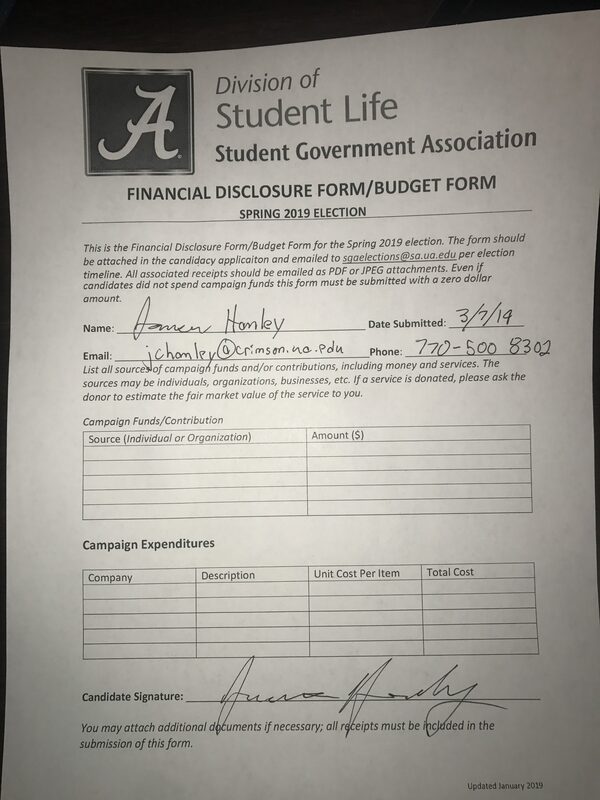 Though these ideas are to be main focuses while serving you in the senate, I will be constantly looking and asking for ways to better the lives of all students while at the University of Alabama. Your input and problems will always be at the forefront of what I strive to do while in office. 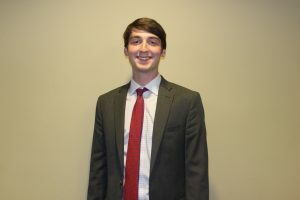 I am very proud to announce my candidacy for an SGA Senate seat representing the Culverhouse College of Business. My goal is to bring together our college and have every voice heard while improving the aspects of our school that both need improvement and those that are already successful. I hope to gain your support, and I am excited to share some of my ideas with all of you. For instance, I would like to open up another location for the counseling office at the Ferguson center, improving our mental health at the university. With your vote, I will do everything I can to assist in Alabama incredible growth as an academic powerhouse. Thank you for this opportunity, and I urge you to vote with me on March 7th through MyBama. My name is Will Schramm. I am a Freshman from Atlanta Majoring in Quantitative Finance and Economics. I have minors in German as well as Social Innovation and Leadership. Here at the Capstone I am proud to say that I am currently involved in the University Fellows Experience and First Year Council in the SGA. 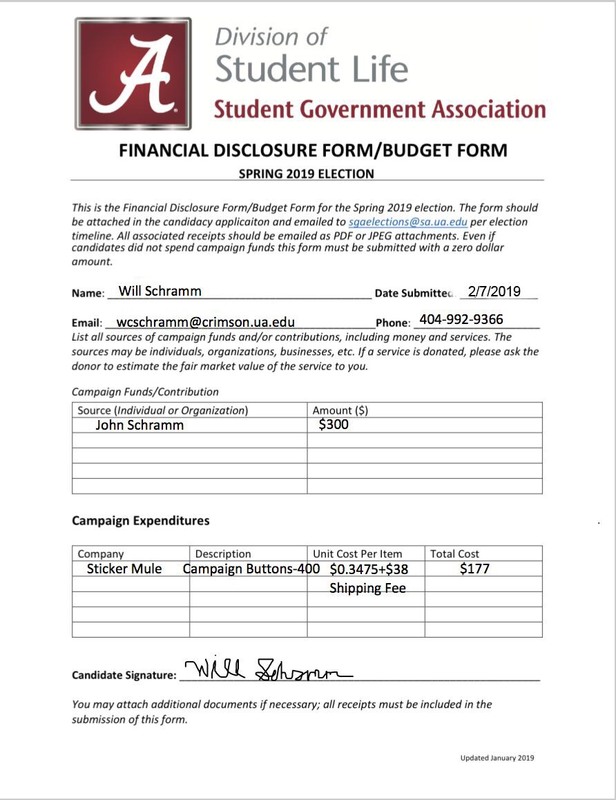 I intend to run for Senate because I think I can use this position to better the Culverhouse College of Business as well as the University as a whole. In office, I want to increase communication with students who are not active within SGA and improve their voice within the community. I also want to boost relations between the colleges at the University to create a more cohesive campus and thus a campus which works together as efficiently as possible. Finally I would like to improve the common area within the Business School to promote cohesion and unity within the school. I want to serve this University as best as I can with the skills that I have. I believe that SGA Senate is the best way to do this. My name is Lindsey Stephenson, and I am from Effingham, Illinois. Here at the Capstone I am a student in Culverhouse College of Commerce, triple majoring in Economics, Finance and Marketing. I am passionate about service, and involved with organizations like Relay for Life and UADM. I am a member of Alpha Delta Pi and serve as junior panhellenic delegate and sisterhood chair within my chapter. My strong sense of duty for the embetterment of the University of Alabama’s community inspired me to run for Culverhouse senate. As a senator, my fresh perspective and passion for our school will be beneficial as I work with others to make this campus grow. While accomplishing my own goals, I will also aid in helping others achieve theirs as well. My key platform initiatives follow the ideals of connection, education, and community. 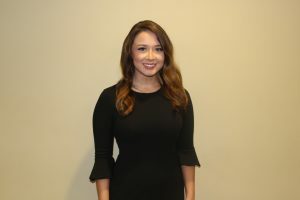 There are a plethora of resources for Culverhouse students within the college, and it is my goal to better connect students with these opportunities through education and programming to increase their ability to reach their full potential. Beyond our college, my vision for campus includes improving our students knowledge of sexual assault. Not only does this improve the safety of our campus, but also ensures safe workplace environments in the future. My third and final initiative is expanding our community by increasing our connections with the Tuscaloosa community through new legislation. By engaging our students to the surrounding area, we have the ability to positively influence the world around us. I, William Frederick Stiers, am running for Student Government Senate for the College of Commerce. 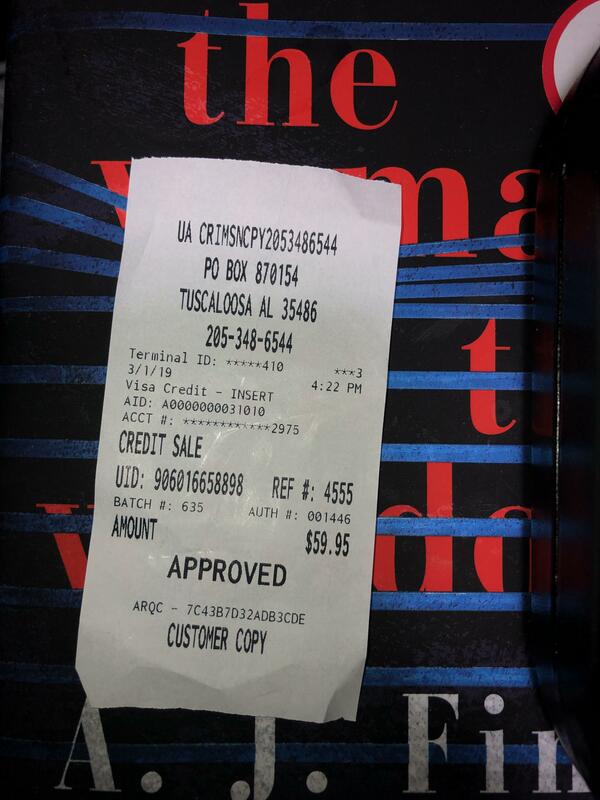 I am a freshman from Alexandria, Virginia studying Economics and Finance. I understand the impact that the forward thinking of our Student Government Association can have on this University and its students, and I want to ensure that impact is in the best interests for those that are associated with the University. The University of Alabama is and should continue to be a community for all students to pursue their current and future goals on and off campus. SGA should support its students and facilitate these goals into a reality. I strongly support this ideal and will to do everything in my power to uphold it. I believe that all of my fellow students should have a voice in the SGA and I will take their opinions into account when making decisions. 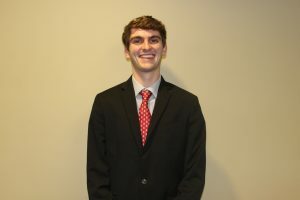 I am a person that listens to all voices of students and will, in turn, propose solutions to create the best environment for our former, current, and future student body while at the Capstone. 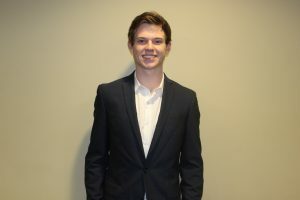 My name is Daniel Walsh and I am announcing my candidacy for the position of SGA Senator in the Culverhouse College of Commerce for a second term. I am a Sophomore majoring in Business Management with a minor in Computer Science. I am an active member of Delta Tau Delta, in which I serve on the recruitment and the social committees. 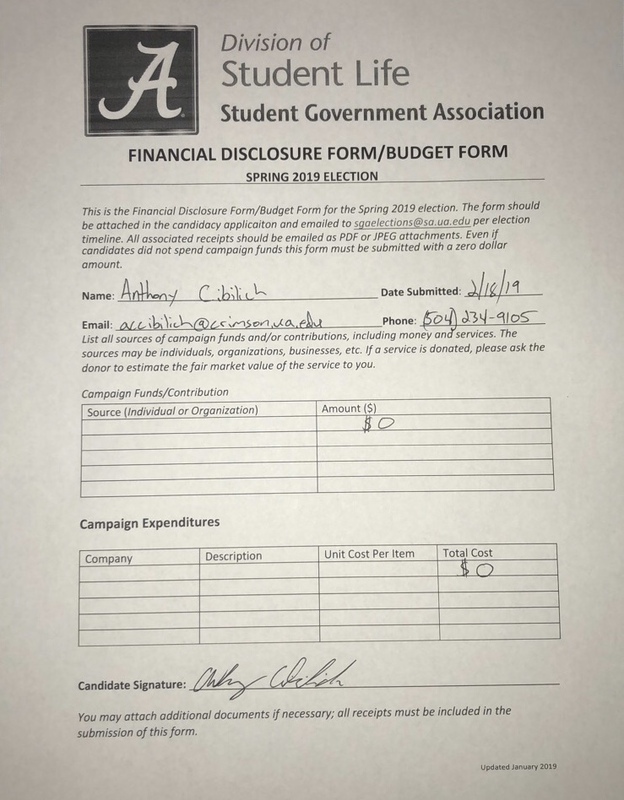 I am running for this position because I believe I would be an effective liaison between the Culverhouse students and the University. Being approachable is a critical quality a representative in the Senate should possess, and this is one of the characteristics that I exemplify. I am motivated to listen and act upon student’s needs such as increased library hours and tutor availability. Promoting internship opportunities within Culverhouse by providing more events such as career fairs and the Sophomore LAUNCH are resources I would continue to support to help students prosper after college. I believe I would be a good candidate due to my willingness to speak up and voice my opinion. I am open-minded and proactive in achieving my goals. Overall, I am running for this position to help give back to the students of the University because I believe I will continue to strive to be a valuable resource to the Student Government Association and help them better our campus. 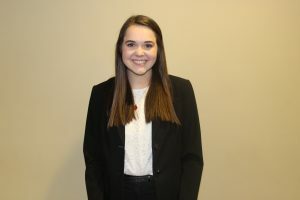 My name is Ellen Walton and I am proud to announce my candidacy as a Senator representing the Culverhouse College of Business. 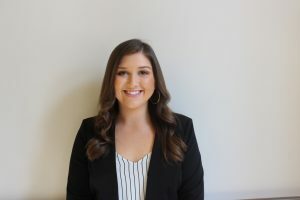 Here at the Capstone, I have been able to serve in the SGA’s First Year Council where I functioned as both a representative of Ridgecrest Residence Hall and FYC Secretary. These positions offered me the opportunity to implement initiatives which have improved campus safety and engagement, such as the establishment of a UAPD crime reporting hotline, and discussions to improve the logistics of Get on Board Day. Moving forward, I will use my time and influence as a senator to promote the interests of all students. Specifically, I aim to promote the EDGE program, educate students on major/minor correlations, and increase awareness of research and study abroad opportunities offered to Culverhouse students. Although my main priority will be working to improve the experience of individuals within my college, I believe wholeheartedly in the SGA motto of students serving students. In addition to representing the students in Culverhouse, I will use various campus outreach programs to foster positive constituent relations for representatives of all colleges. Furthermore, I intend to redesign the MyBama app in order to accurately represent the standard of excellence demanded by the University of Alabama. I hope that you will use your vote to allow me to improve your experience at The Capstone in the coming years, and don’t forget to #WinWithWalton on March 7th!